Say I want to make a new stool. To do this, I only need three legs and something to sit on. The materials I would need would be wood and some nails. And tools would include a saw, a hammer and probably something else I’m forgetting. My tasks would include cutting the wood into legs, finding another piece that’s wide enough to sit on and then nailing it all together. I could sand, paint or add sealant, but these aren’t critical tasks for the completion of the stool. Those task activities are functional and helpful and would make a better stool. But I would still have a stool no matter if I did those extra tasks or not. The Critical Path Method or CPM is only the essentials. 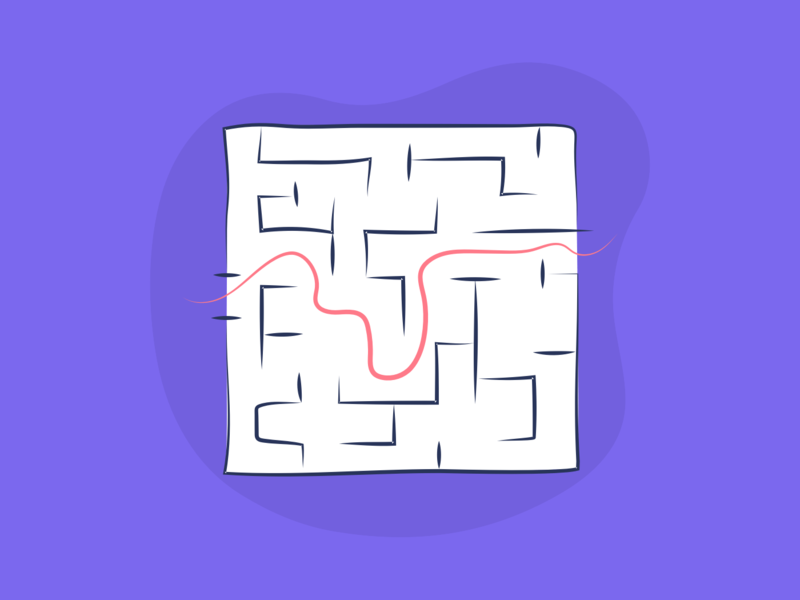 What is the Critical Path Method really? The critical path method is a way of determining which tasks have the most effect on how long a project will take. Critical path works best when the tasks are sequential, meaning that one task has to be done before the next one can begin. The Critical Path Method has clear start times and end dates, with each task connected to the one before it. This is often shown in conjunction with Gantt charts, to relate the connections between each. Here’s what the Critical Path Method looks like in ClickUp. Go here for more about creating Critical Path in ClickUp for your projects. Critical path has been described as the “bottleneck route”, or in other words, the most essential tasks to get the project finished. All other tasks are icing on the cake, so to speak. So the Critical Path is the bare minimum of tasks to be completed that determines the minimum amount of time required to complete a project. Remember: If any of the tasks on the critical path are delayed, then the whole project is delayed. That’s not the case for every task that you may have. The product will function without those key tasks, even though those tasks may make it better and more user-friendly. The Critical Path also helps project managers identify the most important tasks, and then possibly assign or find more resources to help shorten those times. For instance, if you have a lot of frontend design work on a brand new feature, it may be important to get more contractors to help reduce those time estimates, bringing down your overall project completion estimate and shortening your sequence of tasks. What is Critical Path Good For? Critical path is all about focus. Your team can clearly see what’s the most important work towards that. It’s especially helpful if project plans get adjusted or changed. Managers can take a look at the Critical Path and realign resources to complete multiple tasks faster or to ignore the extras that aren’t necessarily needed to complete the project. If you find yourself needing to quickly identify the fastest route to the project completion or wondering what the most essential tasks are, follow these steps. Find your project plan and note all of the tasks and any subtasks. Estimate how long each task will take. You can do this easily in ClickUp with our time estimate feature. Also, set your task dependencies. This indicates which tasks can’t start until another one is finished. In ClickUp, this will appear as tasks “waiting” and “blocking.” Here’s everything you need to know about setting up task dependencies. Create a list of deliverables and any milestones (such as a prototype due date or review period) that you need to be aware of. You may want to set up additional subtasks for this as well. Think about using custom fields for statuses or milestone dates. Are Gantt Charts In The Critical Path? Gantt charts and Critical Path are different. The Critical Path (CPM) is that sequence of essential tasks and the Gantt chart is an easy way to visualize it, especially since a Gantt chart maps out your dates, progress, and assignments. Often the two go together. The Gantt chart in ClickUp can also determine the critical path for you. Just click the calculate Critical Path icon in the top right of your Gantt chart. ClickUp will calculate the entire path for all tasks displayed, but for the best critical path, you must align critical tasks. This is necessary for the right Critical Path to be identified because all start and due dates need to be calculated for the project’s deadline. Then, if any delays or issues throw off that deadline, the Critical Path will need to be re-calculated. Now go back through and identify the most important and urgent tasks with priority flags in ClickUp. This will help you identify which tasks are essential and which ones can “float” or not be completed right away. The CPM cuts through the float to find the exact tasks that need to be done. If there is a lot of float in a task (meaning it’s not as important) you could take some of those resources and apply them to another task, especially if you’re on a tight deadline. Fast-tracking is when you can do several tasks at the same time, especially if they’re not dependent on something else. It’s also a way to maximize your resources. But if I have a partner, then that person can cut one stool leg while I cut the other. The individual tasks have to be done and both are critical, but they’re not dependent on each other–however, the entire project is dependent on both of them getting done. If both of us could work on different (but critical!) tasks at the same time, that’s fast-tracking. However, with fast-tracking you’ll have to think about costs and budget and if you have the extra money to hire or align the resources. You don’t want to take away resources from other important projects, which is part of the balance. Avoids feature bloat. You don’t want to use your float on bloat. Or something. But if you’re focused on the critical path, especially on a time-sensitive project, it will help you prioritize the essentials and avoid unnecessary extras. This may help your feature and product development and improve efficiency. Shows Dependencies. It may be hard in the typical project plan to really understand how each task connects to another, especially when you’re working in a task list with lots of details, files or plans. The Critical Path and Gantt chart help you visualize exactly how each task connects, so you can identify any risk or bottlenecks that may arise. Reduces delays and provides motivation. Critical Path keeps your eyes on the prize. Your team can focus on what’s most important and not get distracted by things that may be out of scope or not in the build. Critical path clearly shows the length of time for project completion. To make that a reality, the CPM includes the due dates, milestones and the key tasks to meet those deadlines. It’s a little extra motivation for your team. The Critical Path is only one tool in the project manager’s toolbox when they’re building a stool…or something else entirely. It’s a great resource to have, especially in emergencies or with projects that are at risk. But having an accurate calculation of Critical Path depends on you inputting and scheduling your tasks right the first time. Take the time to accurately plan your project. At ClickUp, we’ve made that process easy for you! Incorporating and using these features in your project planning will give you an accurate picture of the Critical Path.